Enhance the look of your eye area and minimise fine lines and crow’s feet with Elizabeth Arden Ceramide Premiere Intense Moisture and Renewal Regeneration Eye Cream. The intensely nourishing eye cream will reduce the appearance of crow’s feet, puffiness and dark circles, adding youthfulness back to the eye area. Fragile and thin skin will become firmer and lifted as ceramides and high-performance retinols replenish the skin. The Eye Cream will deeply hydrate the skin, restoring the natural beauty of your eyes. Dab gently around the eye area using the ring finger, emphasising on outer corners. 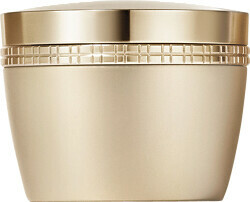 Elizabeth Arden Ceramide Premiere Intense Moisture & Renewal Regeneration Eye Cream 15ml is rated 1.0 out of 5 by 1. Rated 1 out of 5 by juls65 from Disappointing After using Elizabeth Arden visible difference eye cream for a long time, I thought I needed to step up so I purchased this. If anything, it has made my eyes look worse. This cream doesn't spread easily even if you warm it up on your fingers & it leaves the skin feeling dry & tight. I have also tried it with a serum underneath but still no improvement. A complete waste of money & will not ever purchase it again. I feel I have got to use the product up as it was expensive & the good work that previous eye cream did has now been undone. Very disappointed.